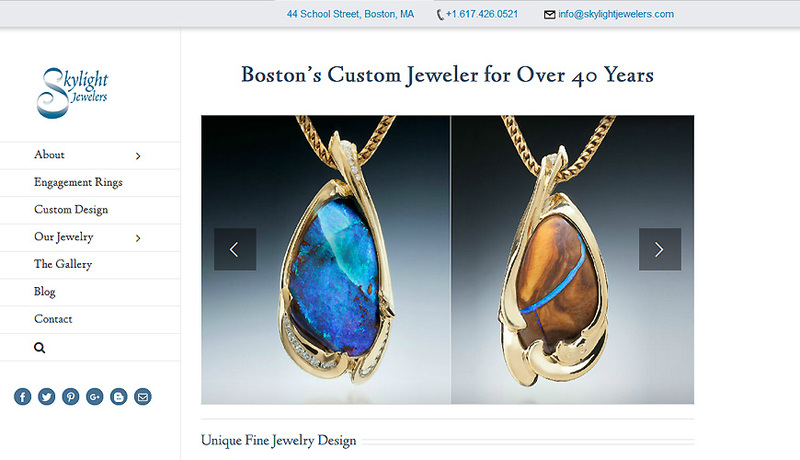 Skylight Jewelers had a WordPress site with a customized theme that was no longer being updated by the author. As WordPress was advancing, the quirks were becoming too obvious to site visitors. It is natural then to not want to update software because of fear of breaking more parts of the website – a cycle familiar to most web designers. At the time quite a few security problems were identified and fixed in the newer versions so until our go-live the site was vulnerable to hackers. At the foundation, the goals of the update were somewhat practical but it was a golden opportunity to have a modern design portfolio. Our selection process brought us to Avada theme because of the many options it provides to beautifully present image portfolios. It’s looking and working fantastic!